The Camaldolese hermits of Monte Corona (in Latin Congregatio eremitarum camaldulensium Montis Coronae) are a religious male institute of Pontifical right: the monks of the order, called coronese, put the acronym E. C. M.C. behind their name. 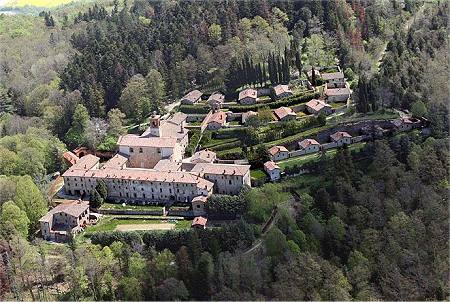 The institute was born within the congregation of the Camaldolese Benedictine order: in 1520, the monk Paolo Giustiniani of Camaldoli as desired to lead a more solitary and a more austere life, withdrew himself in the hermitage of Monte Corona (at Perugia). Pope Leo X granted to Giustiniani to establish other hermitages and in 1524, Pope Clement VII formally recognised the Company of the hermits of San Romualdo, which became fully independent from the Congregation the Camaldolese in May the 7th, 1529. 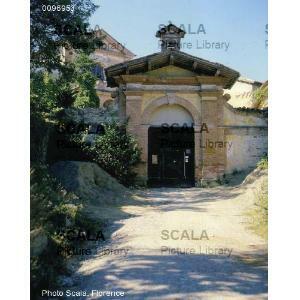 The hermitage of Monte Corona, also known as the Monastery of Santa Maria Assunta Incoronata, is currently housing a community of the monastic family of Bethlehem, of the Assumption of the Virgin Mary and of St. Bruno. The Coronese hermits are dedicated to contemplative prayer. In Italy, they live in the hermitage of the Santissima Annunziata of Monte Rua, in the Tuscolano hermitage and in the hermitage of San Girolamo in Pascelupo. 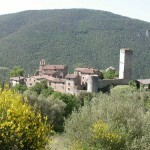 The supreme moderator, who is called “father”, resides at the Eremo Tuscolano of Monte Porzio Catone in Frascati. On 31 December 2008, the institute employed 55 people (27 of whom were priests) in 8 houses. 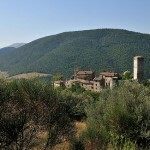 The first news known about the ancient hamlet of Santa Giuliana dates back to 1362. 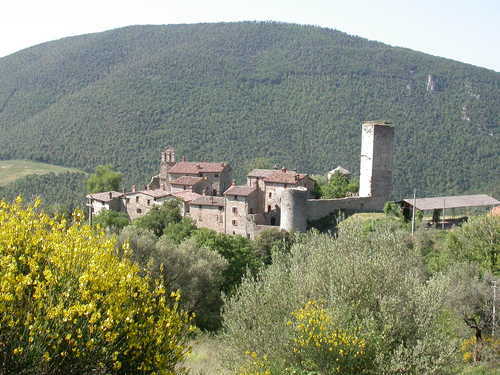 In 1411, the captain Paolo Orsini, allied with Braccio Fortebracci of Montone, attacked the castle in the north of Perugia and the one of Santa Giuliana was besieged. However, the reaction of the inhabitants was so resolute and effective that the assailants had to abandon the venture, during which the same commander Orsini was seriously wounded. 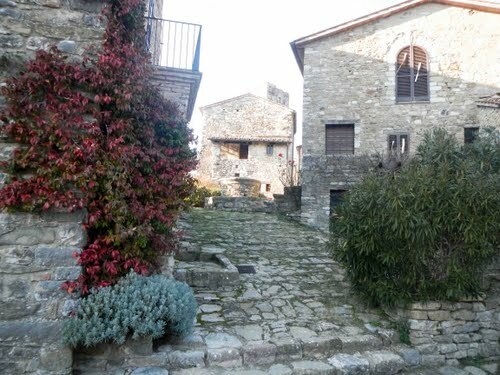 After many years of a state of neglect, the whole complex has been completely restored respecting the ancient structure and it is now a beautiful example of a small medieval village. 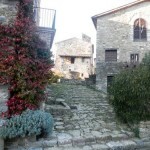 Inside the castle there is a small church built in 1558 dedicated to St. Antonio. 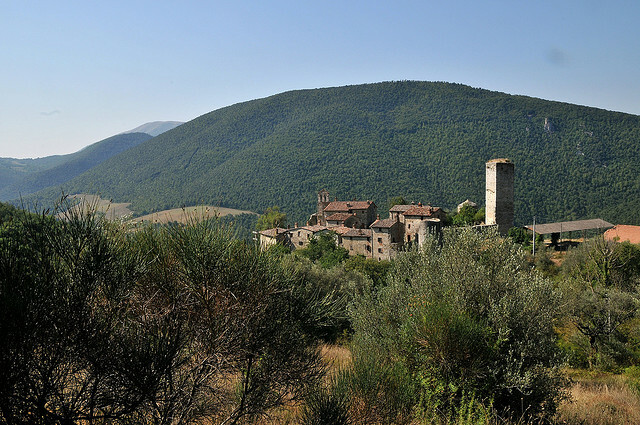 At about 1 km far there are a tower, an ancient outpost of defence and the church dedicated to Santa Giuliana. Giuliana.